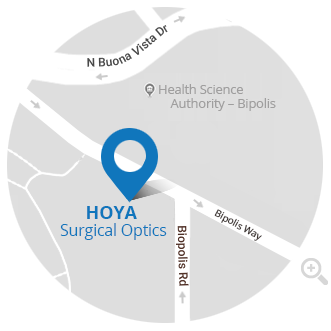 At HOYA Medical Singapore Pte. Ltd. and its affiliates (“HSO”), we believe the protection of personal data involves far more than just complying with legislation. We are therefore happy that you are interested in how we handle personal data. HSO has implemented numerous technical and organizational measures to ensure that the personal data processed via this Web site is protected as comprehensively as possible. Your data is processed by web providers or forwarded to IT service providers. Your data will probably be processed outside the EU or transferred to non-EU/EEA countries: USA and Singapore. You can request information about the personal data concerning you that we have stored by writing to the above address. Moreover, in certain situations you can request to have your data rectified or erased. You may additionally have the right to have the processing of your data restricted as well as the right to obtain the data you have provided in a structured, commonly used, and machine-readable format. By using cookies, HSO can provide Web site users with more user-friendly services that would otherwise not be possible. This website uses the open source web analytics service Piwik/Matomo. Piwik/Matomo uses so-called "cookies". These are text files that are stored on your computer and that allow an analysis of the use of the website by you. For this purpose, the information generated by the cookie about the use of this website is stored on our server. The IP address is anonymized before it is stored. If you do not agree with the storage and use of your data, you can disable this feature here(Opt-out). In this case, an opt-out cookie will be stored in your browser to prevent Piwik/Matomo from storing your usage data. Google Maps (API) is a web service of Google LLC, 1600 Amphitheatre Parkway, Mountain View, CA 94043, USA ("Google") to display interactive (land) maps for visual representation of geographical information. By using this service, visitors to the website are shown the company’s location and any directions are made easier.